Welcome to Hudrlik Carpet and Cabinets! We have locations in Aitkin, Brainerd-Baxter, and Crosby, you’re never far from the friendliest folks in northern Minnesota! For all your residential and commercial flooring, cabinets and refinishing needs. 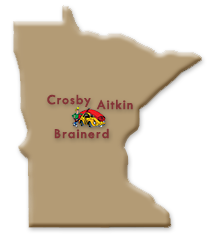 Hudrlik of Aitkin, Brainerd, Baxter, and Crosby. Since 1948 we’ve provided the same friendly sales and service from generation to generation. Hudrlik Flooring and Cabinets offer the best value in quality flooring and refinishing, installed by the finest carpet, ceramic, vinyl and hardwood craftsman in the region. Hudrlik features competitive prices coupled with the very highest standards in installation, workmanship and tidiness. We can provide you with beautiful cabinets and counter-tops for any room in your home. Free design consultations for you!